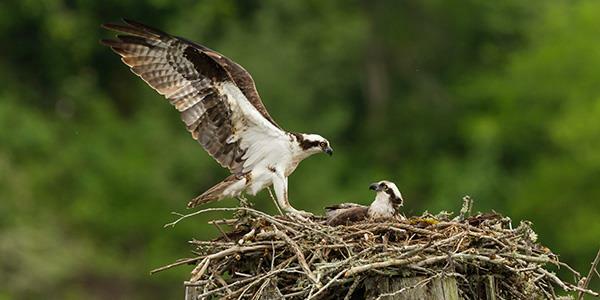 Who remembers Maya and Osprey 33 from the Rutland Osprey Project? To get up-to-date with their story so far check out our blog from this time last year when we first met these mighty birds at their home close to our Rutland glamping site. We are so fortunate to have a site so close to such an important birding reserve as Rutland Water. You may remember that it was the base of one of the most important reintroduction projects, involving the translocation of a number of osprey chicks. Thanks to the work of the Rutland Osprey Project, these incredible birds are now flourishing and return each spring following their migration from Africa. 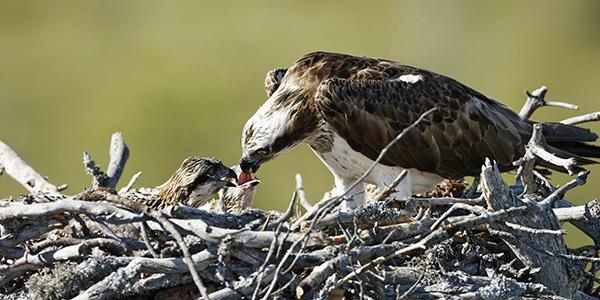 Based at the Lyndon Visitor Centre, just on the southern shore of Rutland Water, the Osprey Project has set up a whole wealth of information, interesting displays and live feeds of the nests. You will be able to learn all about the project so far and see where they are with their current situation. It's such a short distance from where we are at Exton Park that it makes for an excellent visit. 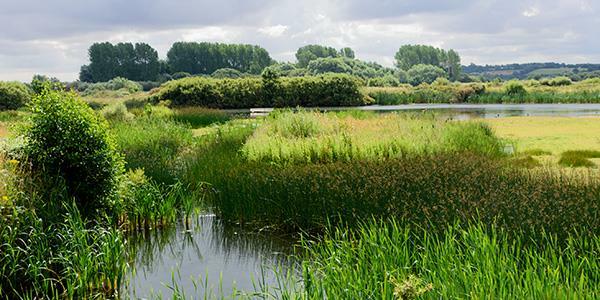 The Visitor Centre has a large viewing window, so you can keep an eye on all the wildlife and goings-on across the reserve, and during the summer there are members from the Rutland Osprey Project team on hand to answer any of your additional questions. Just a short walk from the visitor centre is a bird hide as well, so you might be lucky enough to catch a closer glimpse of the birds. So where are we at with our favourite ospreys? Well, after a successful journey back from her wintering site in Africa, Maya reappeared in her usual spot, at her old nesting site on the Manton Bay nest. She's been breeding here since 2010, and we were thrilled to see her return on the 21st March this year! Just a week later her mate of three years '33' joined her on their old nest. Ospreys are usually very territorial and will return to their nest sites year after year, rebuilding from their old one. The Manton Bay nest is well recorded, with a live webcam feed coming through to the Lyndon Visitor Centre, and onto the website during breeding season. You can keep an eye on the nest here. We've come to know and love Maya and all of her funny characteristics. She's a great mum, having so far raised a total of 14 chicks over the years! And we think 33 is an excellent mate for her. Osprey pairs will share chick-raising duties, but 33 is particularly gentle and diligent, doing his fair share of incubating; even to the point where if Maya doesn't move, he'll just come and join her on the nest. He's a bit of a softy. Maya produced her first of three eggs on the 4th of this month and now it's simply a waiting game! The two birds successfully raised three chicks in 2015 so we're hoping all will go just as well for them this time around. Watch this space, incubation period can be around 40 days all being well, so we may see hatchings in May! All this excitement is underway just in time for World Osprey Week. This is a great scheme that enables schools to get involved and follow the journeys of these amazing migratory birds. Those schools that have signed up receive free resources for children. 2016 marks the 20th anniversary of ospreys at Rutland. As well as getting schools involved throughout the World Osprey Week and Osprey Festival, the Rutland Osprey Project is also hosting a one-off osprey cruise on the 15th of July and a family fun day on the 2nd August. So there's lots going on. Remember to keep an eye on Maya and 33 in the coming months to see how they get on with everything. There's loads of information on the website. Or if you're glamping at Exton Park you can visit the reserve and go for walks. The Lyndon Visitor Centre is open daily between 9am – 5pm, March to September.